The Society assists members to develop their careers by heightening professional standards and ethics in the fields of market and social research. AMSRS members are bound to observe the Code of Professional Behaviour, which covers both the ethics and standard conditions of conducting and reporting market and social research. Please refer to the menu items on the left for reasons you should join, a description of the membership levels available, what benefits you'll receive as a member and a guide to our membership fees. The majority of AMSRS members are located within Australia, but we also have membership catering for those living overseas. To find out the cost of membership or to apply now, please click on the appropriate membership level for your location. Three membership levels are offered to applicants residing in Australia. Click on each membership level to find out details, to see what the cost would be, or to apply now online. If you are unsure which membership level is the most appropriate for you, or for a comparison of the membership benefits extended to each membership level, please refer to the menu items on the left. 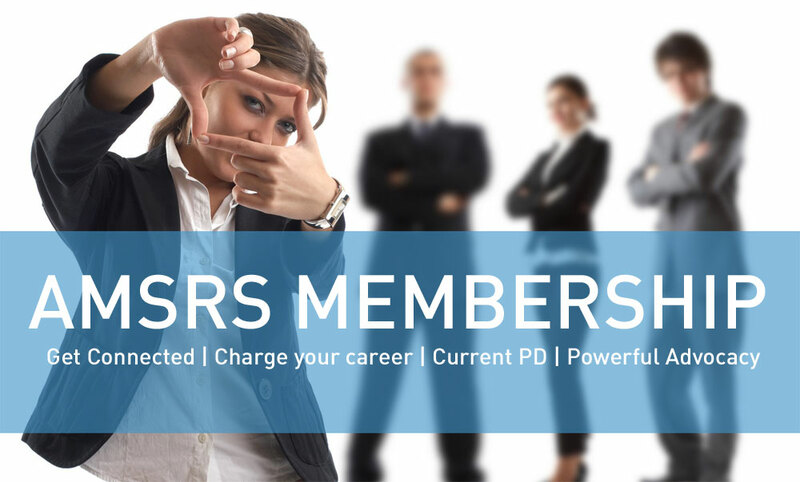 We also offer AMSRS membership for individuals residing outside Australia, at three levels. Please click on each membership level to find out details, to see what the cost would be, or to apply now online. The fees and inclusions differ from those for members residing in Australia, to reflect the different level of accessibility to some membership benefits, as well as to exclude Australian GST. Information about the benefits extended to overseas members can be found here.